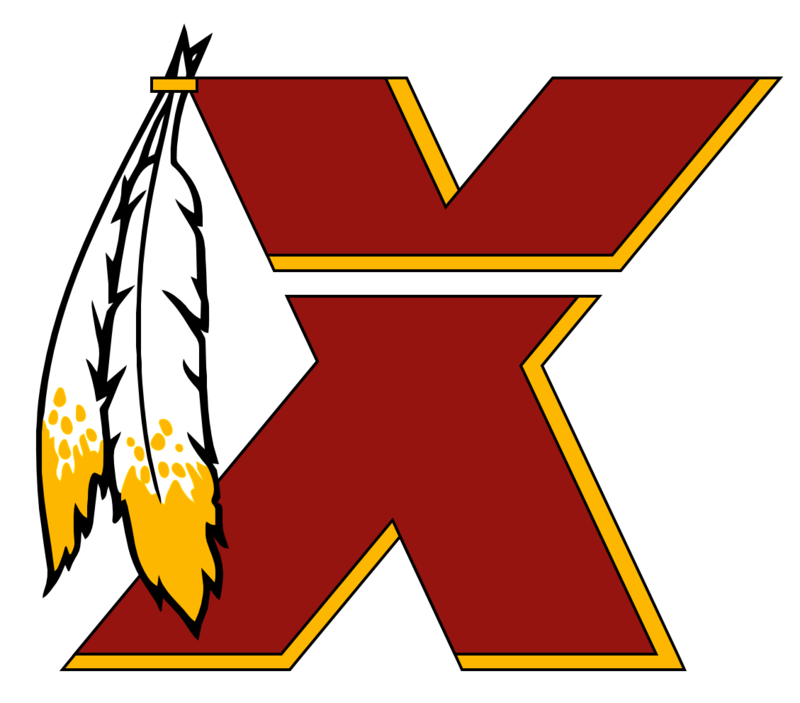 WP: Welcome to the Redskins, where honesty is not in the employee handbook. Off lol, that's a pretty damn cutting article. But hey, if this team was less injured and took that 6-3 record to 11-5, no one would be talking about our ****ty front office. Kinda crazy how fast things fell this year right, I mean crazier than usual. Was it the foster signing? I know it wasn't alex's leg, people didn't believe in him before that. (even though he was winning). Maybe colts leg? Nah people would have had sympathy after that. Ok signing someone besides kap? Eh.. that added to the ****storm but that's not the Redskins fault. Releasing DJ. That's it. That's when we said **** it this thing is a mess. And it is a mess. But the mess with DJ is separate from the mess of the FO. If this team was 11-5 going into the playoffs with that strong **** we saw from the first half of the season we would've said "yeah! we don't tolerate that **** talk on our winning football team!". ...but that **** talk wouldn't have happened if we were winning....which is why DJ, in this delicate situation of a season, shouldn't have said anytjing. We can win in spite of this ****ty front office situation. And we might as well hope for that, because it doesn't seem it's going to change. Still, I like this article. Bring it to people's attention, it's ****ing embarrassing. I'm not trying to be devil's advocate here but...just saying... The team was doing well this year and it didn't feel entirely like false hope. Football wise it was the things we've begged for: run the ball stop the run. And it was working. It felt false because Alex wasn't lighting it up. Which, yes was a mistake to ink him in for so long, and yes injuries happen to everyone, but it did feel like something to build on. Imagine keeping that going and working on the offense and boom - we are a dangerous team. I'm just saying, that happened in spite of this awful front office situation we have so maybe it doesn't really matter if the office guys are greedy narcissistic assholes. It's just the players on the field and the coaches. Now, I'm starting to think it's so bad, so toxic that even the players and coaches see it. But they should remember as well: this is the same front office you had at 6-3. Releasing DJ, these guys leaving, the foster thing, it's like what are you doing?? Just stay boring and work on the team. Anyway, don't expect Bruce to go anywhere, but hold out hope that the team of football players can succeed in spite of the assholes running the show. They already did for the first half of this season. And thr injuries were pretty damn real. Imma choose to ignore whatever is going on front office wise because I've been shown it doesn't really matter.....mostly. I've always figured - if you're in NFL shape, you have nothing to prove in a fight. Especially a guy like Albert Haynesworth, like what are you doing, you're a giant, all you have to do is look at a dude and you've won. Hard to believe Montae just rolled up on some people and decided to kick their asses. It was a fight. Whatever. And of course he won and got arrested, hes a professional athlete. Still dumb. Not sure how I would punish him if I were the team but it probably wouldn't be releasing him. This day and age though... never know. It's not just last night though. We didn't complain when we had a boring offense and were winning, but let's be honest, we were all a bit worried. The Alex Smith thing was working....somehow. Now we have no excuse, we have to change and we just dont. I understand it's difficult to put a new guy in and change your entire philosophy but we have to try. The alternative is a guaranteed loss. Trying to do what we were doing with different players in a situation that was lucky to succeed in the first place. Its gonna be a loss. Throw contested balls. That's all I ask. See if our guy comes down with it. Maybe there's a PI, they call them all the time these days. I've watched enough, we just won't even try, its uninspiring and that's on playcalling. Good job answering the Kaepernick questions in his presser, seriously. They're basically loaded questions to make us look even worse, but we're no more obligated than anyone else to feel like we should sign him, even with the QB injuries. We all know why those questions are being asked, and Jay gave an answer that made sense. Three times. Please stop pressuring us guys, we've got enough to deal with. Like injuries. Good lord, Jay must have had a nervous grin while rattling off those injuries. And casually explaining how to move around the o line on top of the QB problem like its "just football". Nah, our situation is unusual and almost impossible to overcome. So props to Jay for handling it media wise, and giving a sensical approach to the situation. But that's where my Jay praise ends. Now, what is this about the QB coach calling plays? Whatever, I dont care who it is, I dont care how injured the team is, the offense isn't just bad because we're hurt, it's bad because it barely even tries. He mentions Peterson didn't get a lot of touches because the run wasnt working and the 2 minute deal is Thompsons job. Ok, then why didn't you do something else. TRY something else. Oh, he did a couple ridiculous, embarrassing, swinging gate level stupid trick plays. That was it for me. Get someone else calling these plays. We are in love with the wide open wr 5 yards underneath, which is exactly what the opposing defense wants us to do which they will tackle which will lead the drive into a punt because we dont do ANYTHING ELSE. Game after game. That has to change. Drop back and launch the ****ing football down the field. They tried it ONCE to docston last night and that was probably Sanchez going off script and good for him. He's been on normal football teams. He probably got scolded for it. We are scared to play aggressively. I'm done. If it means firing jay so be it. Some fans admitted it weeks ago and it's about time Jay does as well: that winning streak, that "winning formula" of defense and running was ****ing luck. The only thing Alex Smith did (love ya buddy, hope you get healthy quick) was not turn the ball over. He didn't do anything. The team basically won without a QB. They won with a robot at QB programmed to not take chances. What better reason do we need now, on our THIRD QB to take some dang chances. Jay is STILL talking about how Sanchez should protect the ball better....WHO THE HELL CARES? Go out fighting damnit. Save me with this "we're still in it" bull****. It's true we are, but the only way we're winning anything for the rest of the season is a bunch of low percentage passes that land in our favor. Maybe some PIs are called maybe we actually score some ****ing points. This "play defense and run the ball" thing is done, Jay even said it was done, that was his explanation for APs lack of touches, so why in the hell do you keep trying it???? Watching last night's offense was it for me. That one shot to docston gave me hope that "screw it were goin out swinging". But no, we didn't, and Jay makes it sound as if we're going to stay with this horribly boring approach on offense. "We have weapons"....YOU DONT USE THEM. Unless crowder is wide open on a cross or reed jukes a guy we just refuse to throw the ball to anyone. I think Jay instilled that line of thinking and it's just not going to work and it just has to change. If we are still in contention then we have to change our approach offensively. We're a wild card(no pun intended) with our injuries and we should be coming out with something different, and I don't mean dumbass trick plays. I dont think we will change offensively, and I dont want to see it again next year. I usually don't get like this but I am just full on pissed right now. I ignore the hate on playcalling because hey football is hard and we were winning. Enough though. We play offense like scared little ****es. I'm firmly in the fire jay or at least change the man calling plays side. It's an automatic loss, it's like not even trying. Your team is injured all to hell and your response is dumbass slow developing trick plays? JUST LAUNCH THE ****ING BALL DOWN THE FIELD. DOCSTON CAN JUMP. Just finally over it. I can't watch this boring, uninspired offense anymore. It wasnt fun when we were winning and its just sad now. That 2pt play is just punking us. Were bottom of the league bad now, and that's not just on the qb situation, this has been embarrassing D, scheme wise. Norman thinks he's gonna get a pick every play and actually puts himself OUT of position to try it. I'm done.